Doncaster Sheffield Airport has employed a local student to work in their cargo team as part of a workplace learning initiative. Doncaster born Amira El-Khrouf, aged 20, is undertaking an 11 month work placement at the airport where she will gain vital experience in the industry. Amira, a third year Business Studies and Marketing and business studies student at Sheffield Hallam University, had two interviews before she was granted the paid Cargo Student Placement. The airport recently announced that it is on target to record a three hundred percent increase in its cargo figures for the year March 2012 – March 2013, forecasting moving in excess of 400 tonnes of cargo by the year end. I’ve spent two years at university developing a keen interest in business and marketing, so when I saw the placement was available I was keen to apply the theory I have learned at University to a real life working environment. My task is to undertake research and liaise with local organisations to try and better understand their needs. I have been lucky with the variety associated with the job role. I’ve already witnessed one of the biggest commercial planes in the world – the Antonov An-124 – land at the airport, which was incredible. It is a brilliant opportunity for me to gain some practical experience in an exciting industry. The placement is invaluable because employers are more likely to opt for people with experience as well as a good degree nowadays. 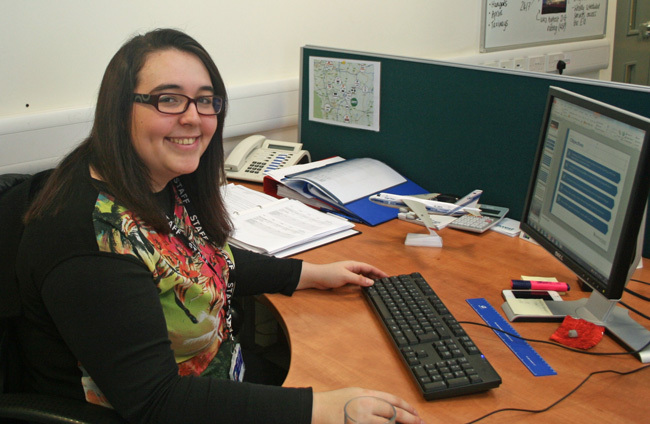 Staff at the airport said that Amira, one of the first placements they’ve had, has quickly become an asset and confirmed workplace learning as something they are keen to do more in the future. This is a great opportunity for Amira to help us establish our new cargo product and develop her skills in a range of areas including research, finance, marketing and strategic planning. We’re already seeing the benefits of our first student placement and it is great for us to have another enthusiastic and creative member of the team. We’re very keen to build on this partnership with Sheffield Hallam University and would urge other organisations to do the same. I’m absolutely loving my time at Doncaster Sheffield Airport, everyone I have met has been really friendly and welcoming.